The song from the musical A Chorus Line may refer to "one singular sensation," but our guest on this week's Cityscape believes strongly in the power of twos. Yoav Litvin is a New York City-based scientist, photographer and writer. Yoav has spent a lot of time studying the brain, but he’s also spent a lot of time studying New York City’s street art scene. 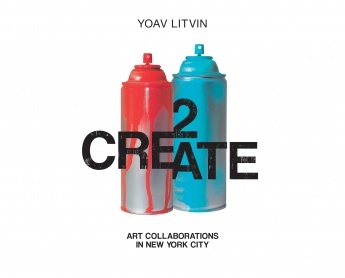 He joins us to talk about his latest project 2Create: Art Collaborations in New York City.